Om śānti and Namasté, everyone! For those of you, who are not familiar with what I’m saying here, Namasté is a wonderful greeting in India, which says “I bow down to the divinity within you”; śānti means “peace” and Om stands for the very first sound that came up in the evolution of the universe. These phrases are used frequently in the mindful yogic tradition. As it was pretty quiet with my online availability within the last four weeks, I went through an unique experience touching a great amount of wisdom and receiving so much inspiration that I’d love to share with the world; with you guys. First of all: I hope you’re all doing well; I hope you had a well-feeling time last month; I hope that you mastered your challenges with little effort and much ease, enabling you to grow with lightness. As for me, I definitely learned a lot, witnessed a deep growth of my personality and expanded my mindset during this time. Doing a Yoga Teacher Training in India/Rishikesh was one of the best decisions I’ve ever made. And I recognised that my intuition – the moment I felt this deep desire to go for it – was definitely the right one. The process of connecting deeply with your inner wisdom, listening to your gut feeling, to your heart in a still and mindful moment, really is the key for setting those intentions to something you’re supposed to go through, to learn from, to grow with in order to become your most authentic version. 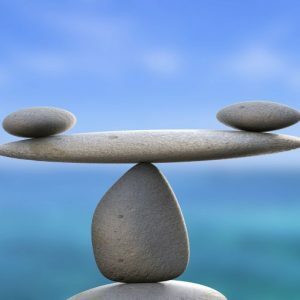 Not only this article, but my entire blog is focused to help you on this journey of self-connection. So, if you want to awaken your potential and live with more ease, happiness and fulfilment, then stay tuned. As for now, I’m going to share with you my experiences and acquired knowledge from the 4-week Yoga Teacher Training in Rishikesh. Enjoy reading! It was the 6th of March, 7 am in the morning, as I arrived at the airport of New-Delhi/India. The sun was still rising and I found myself in a tremendous comfy climate. Finally, no need of a scarf, gloves or a warm jacket. 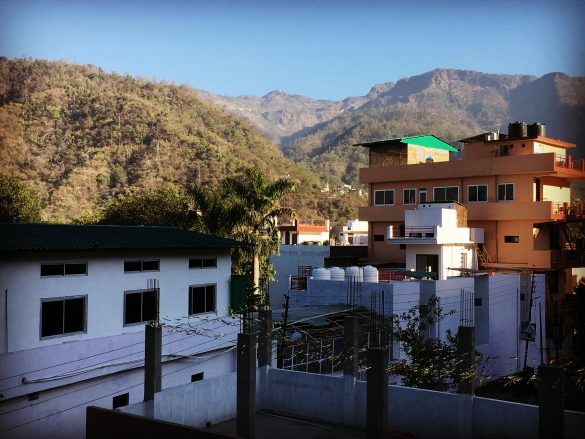 After a quite exhausting six hour drive by car, I reached the place where I was staying for the next four weeks: the Akshi Yogashala centre in the town of Rishikesh, the so-called “capital city of Yoga” throughout the world. Akshi Yogashala is placed in the middle of a little yoga town, not far away from the Ganges river, which has an undeniably wonderful little sandy beach. Surrounded by hills, woods and many animals, like monkeys, dogs, cows, bulls, etc, I instantly fell familiar and comfortable with this area. In this “yoga town”, there are lots of yoga schools, studios, ayurvedic centres, temples, shops and nice cafés serving a good amount of vegan foods. 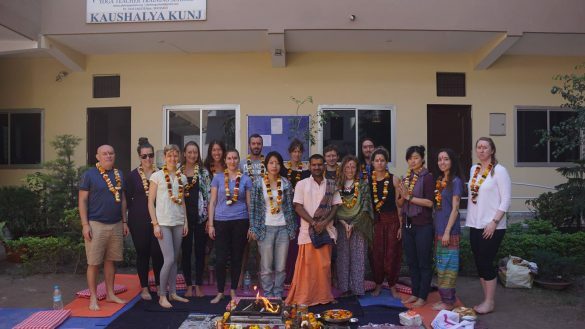 17 people from all around the world were part of our group at the Akshi Yogashala TTC in March 2018. This very international come-together definitely left all participants touched by such beautiful spirits. So, which nationalities were united? China, Israel, India, New Zealand, USA, Canada, Ireland, Netherlands, Russia, Spain, Chile, Argentina and me as the only German/Austrian. I absolutely enjoyed speaking English solely for these four weeks and having this wonderful exchange with people from all around the world, who came to this magical place in India for only one single reason. One reason that connected us on a deeper level: Yoga. 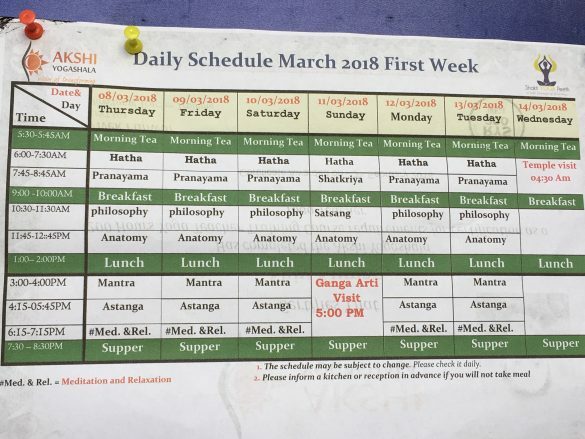 With a glance at our schedule, it seems to be very intense, for we started early in the morning, had two quite intense yoga classes during the day, a few theoretical sessions and just very little time in between meals. One day during the week (Wednesday) was completely off classes, but we were offered taking part in some excursions and allowed to study the acquired material during classes on our own. Sunday afternoon was also a day off or time for studying on our own, respectively. Of course, it is not a Yoga retreat or other kind of holiday, for we are here to get our teachers’ degree. And I cannot deny that it wasn’t intense; in the first week, I woke up every single morning with sore muscles in literally every part of my body. However, the energy I soaked up was on such a deep level that it mainly nourished me, even if there were days or moments when I woke up with a complete sore body, or when emotions came up I had to deal with, which was not always comfortable. In the end, the teachers and people at this place helped me open my wings a little further to fly into the right direction towards my truest self. The Hatha Yoga class in the morning was, especially in the first 2 weeks, more like an intense workout; purposely, to bring our body into a stronger condition. Later on, we continued with many repetitions of the sun salutation and a variety of asanas. In Ashtanga Vinyasa, our afternoon yoga class, we were trained the partly sophisticated series of asthanga asanas. The Pranayama teacher taught us different breathing techniques, an important part of yoga; and my personal highlight, beside Asthanga, was the Meditation and Relaxation class in the evening. As I’d been just coming into touch with meditation a few months ago, I was aware of its unique power to some extent. However, I experienced the most intense, magnificent meditations in this class, so far. My gratitude to our amazing teacher will last forever. Namasté, Rahul! You did a great job! 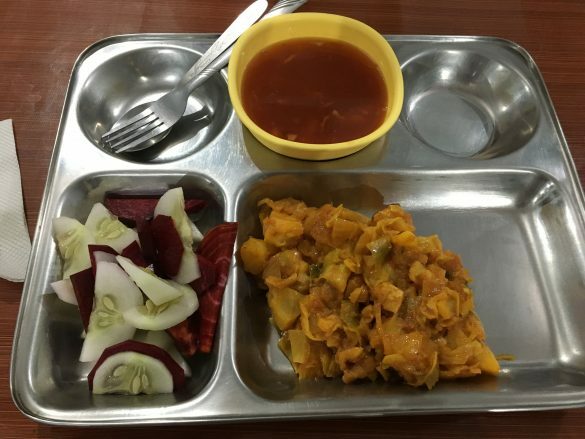 Each day, we were supplied with freshly cooked and prepared food for breakfast, lunch and dinner, which was made in an ayurvedic way. Thus, most of the meals were cooked. For breakfast, we got a porridge, one kind of savoury dish, sometimes pancakes and fresh fruits, like bananas, apples, watermelon and papaya. The latter was definitely my daily go-to! Lunch mostly consisted of a stew with any kind of legumes (lentils, beans, chick peas, …) and some well-seasoned vegetable curries with rice. At dinner, we got a soup and cooked vegetables, plus freshly diced raw veggies (mostly cucumber, carrots and red beet) on the side. The cooked vegetables and legumes, soups and stems, were definitely amazing. 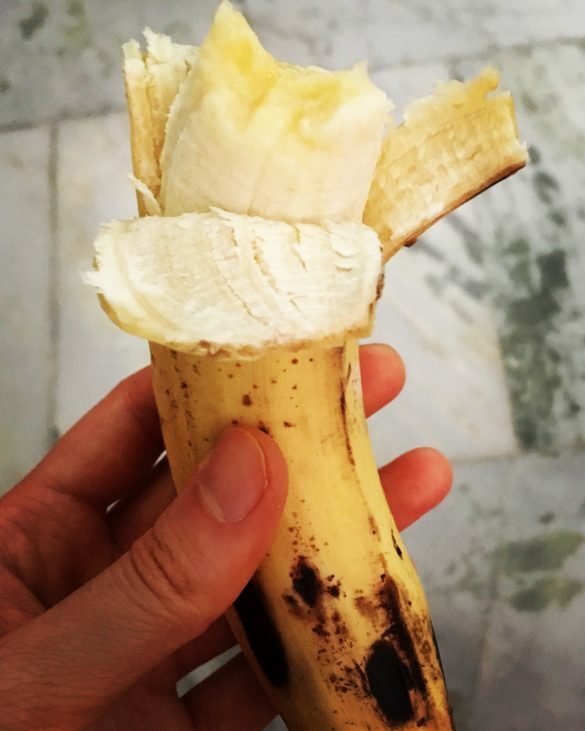 However, as I’m normally having mostly raw foods, I was desperately craving them; especially more fruits. But on our days off, I always went to a very close-by café, called “The Hungry Yogi”, where I caught up with my beloved smoothies, juices, fruit bowls and salads. Plus, the amazingly tasting coconut water, which often made my day. 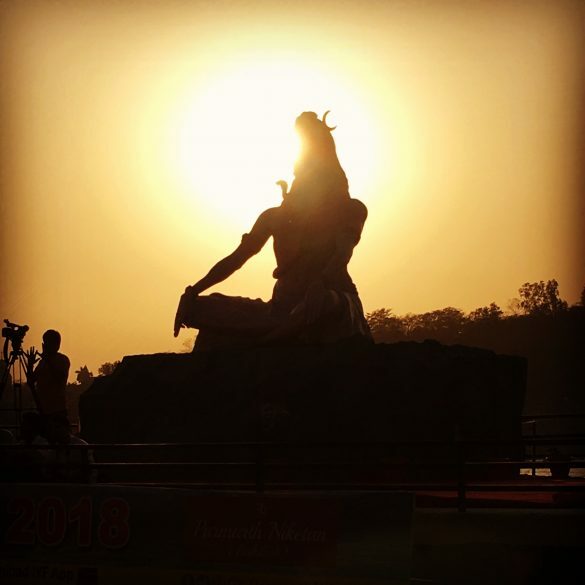 Even before I came to Rishikesh, yoga, in my opinion, already provided this holistic touch to our health, as well as on our physical and mental well-being, as I was familiar with a few pranayama (breathing) techniques and meditation. However, I mostly focused on the asanas within the last years when I “practiced” yoga. But actually, yoga is not so much about physical activity. It’s primarily about the mind. Although I strengthened my physical muscles and the awareness for my body, I learned so much more about the subtle parts of our self; the energetic state of mind and soul. Yoga can be translated as the “union” of your physical and your higher self. The philosophical aim of yoga is to become liberate from outer dependencies, to let go of your ego, to come closer to the purest form of yourself, to live happily and content permanently. The body, which connects us through the senses with the material world, is used as a tool to become more aware of your physical system and bringing it closer with your mind; approaching the state of alignment of these two parts that are always attached and never separated from each other. Getting to know what’s going on in your internal world and to become a conscious guide of your own life. The most important part of yoga is the breath as the infinite connection between body and mind. If you’re looking at our physiology as a being from a yogic perspective, there are five different layers you’re facing: first of all the physical body as the material layer. 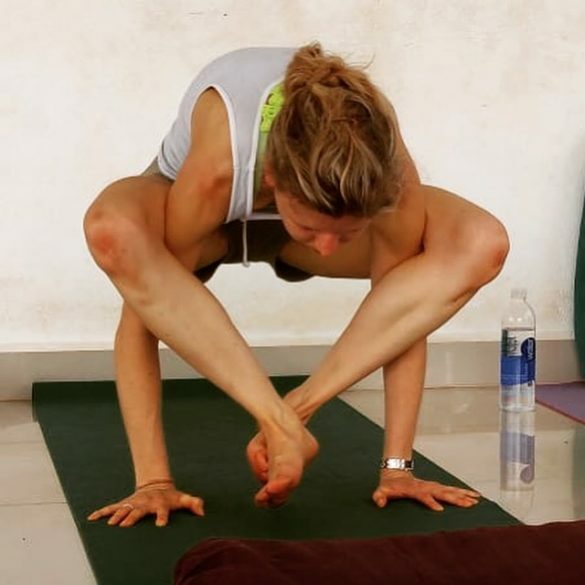 On this level we practice asanas and bring our health into a better condition via nutrition, physical activity and different cleansing techniques. Then there’s the vital energy body that we already cannot see with our eyes; it can’t be tangibly grasped and it’s much larger than the physical body. The energy you keep around yourself affects your material state. Pranayama as the practice of your breath connects the physical with the vital energy body, helping you coming closer to this immaterial layer. Diving even deeper, we find the mental body, your thoughts and dreams; anything you create in your mind. Pratyahara (withdrawal of your senses) and Dhyrana (concentration) are methods to bring your awareness more inside, reducing external stimuli and focusing on your internal world; then we have the level of pure knowledge, also called the wisdom or awareness body. Only this state of awareness, of intuition from deep within allows you to get connected to your soul. Meditation and mantras will help you to practice on this level and lead you to the blissful body, the most hidden part of us. The part that knows we’re born in blissfulness, the deepest layer of your Self, your true nature. Around these layers dwells your soul. “Yoga does not change the way we see things. Therefore, being a yoga teacher and spreading this message into the world is not just about demonstrating and teaching physical exercises, asanas. Hence, I’m aiming to grab this very deep level and share not only what I’ve learned, but primarily what I’ve been experiencing on this way in order to support you on your own journey; getting your health in a state that allows you to become more connected to your mind and your inner wisdom. It started in the third week, when I felt this internal peace and contentment, simply by being. Something, I have experienced just for a few moments before; but not for an extended period of time. The energy that flows through this place is simply magical. I was absorbing it constantly, together with the amazing sunshine we were blessed with day by day. This time with these people at Akshi Yogashala has evolved and transformed me to some level. One of the most beautiful highlights was my own student teaching yoga class, an energetically deep-diving experience for me. Om śānti śānti śānti! Saying goodbye was definitely the most challenging and hardest part of these four weeks. I was just bursting into tears, showing up naked with my emotions. However, I left with richness in my heart. And I know for sure: this place will see me again; these people will always remain in my heart. The universe will reunite us some day again. I left with even more love than before…love that will be passed on, love that will be shared and multiplied throughout the world, for this planet needs love … unconditional, pure love! 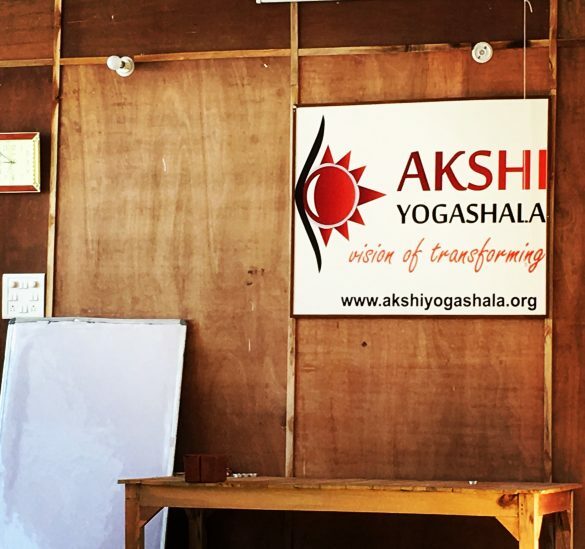 Why did I come to Rishikesh and attended this yoga teacher training within 4 weeks? Not to get a confirmation on being allowed to teach yoga asanas back home. Primarily, I wanted to dive more deeply into this fascinating way of Yoga in a region, where it has its roots: India. I’m aware of the fact that four weeks are not a period of time in which you will be able to teach students this way of living with its tremendous amount of background knowledge, for you have to experience and internalise it on your own firstly. But what I know for sure is that I’ve been attached to the yogi philosophy and lifestyle for a few years now, I intensified my knowledge within these four weeks much more and I’ll continue experiencing it. And this is exactly what I want to share with the world: not only what I’ve been learning, but especially what I’ve been experiencing. We always teach what we ourself have to learn the most. “Close your eyes and image the greatest version of yourself. Therefore, I don’t see myself as a certified coach for physical exercises in a yoga studio somewhere back home. Moreoer, I want to intensify my practice and pass it on to others someday, as soon as I feel confident and ready for that; beside this physical training, I rather want to accompany people on their journey back home, into their internal world by becoming aware of their body and their breath; so that they can calm the waves in their mind in order to open the gate towards their pure nature, their divinity within. I am incredibly grateful for these four weeks in India – the teachers and people here around opened my awareness one step further and reminded me even more about who I am, who I want to be in this life. As the yogic lifestyle and my experiences at the YTTC go hand in hand with what I’m sharing with you on this blog, I could clarify my visions more deeply and received affirmation in what I want to do in this lifetime. So, everyone who is ready for stepping into the depth of his/her path, who wants to start and go this journey, will find the optimal surroundings here in Rishikesh at Akshi Yogashala. A place I simply can recommend from the deepest bottom of my heart – thank you so much, lovely guys out there! I cordially invite you to visit their website. Previous Post Yoga | Modern lifestyle or ancient esoteric science? In erster Linie bin ich dankbar, dass du heile wieder zu Hause angekommen bist. Und zum Zweiten freue ich mich total, dass du mit noch mehr Liebe im Rucksack zurückgekehrt bist. Eines der wichtigsten Dinge unseres Lebens. Verbreite sie, diese Liebe, ich tue es auch. Ich liebe dich, deine Mum! besten Dank für deine wundervollen Zeilen. Fühl dich fest umarmt, alles Liebe, deine Isabel! Auch dir wünsche ich aus Herzen nur das Beste und schicke dir eine feste Umarmung. Ach wie schön! 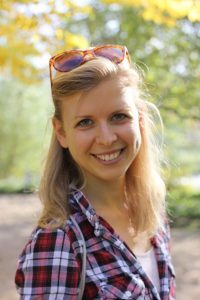 Auf den Bericht habe ich mich schon sehr gefreut, aber ich habe noch eine Millionen weitere Fragen 😉 Das klingt alles sooo gut – besonders auch in Hinblick auf die Lebensgestaltung. Ich bin gespannt. Fühl dich gedrückt! so schön von dir zu lesen. Deine Fragen beantworte ich gerne in einem wundervollen Telefonat – darauf freue ich mich schon sehr! you truly touched my soul with your beautiful words. Thank you so much! It’s my honor to share my personal journey with you, as I’m lucky to be part of yours as well. Our deep friendship means the world to me. Thank you for being always there for me. Thank you for your authenticity, your honesty, your helpfulness, your kindness … thanks for being yourself!